Bhai Mani Singh was the Head Granthi of Sri Darbaar Sahib, Amritsar. Mata Jeeto Ji (short for Ajeet Kaur, also known as Mata Sundri Ji), the wife of Guru Gobind Singh Ji requested Bhai Mani Singh to sort out the disputes amongst the different Sikh groups, which had formed, and unite the Sikh nation as one. Bhai Mani Singh Ji planned to use Bandi Chhor Divas, Diwali, as an opportunity to unite the Khalsa together at Sri Harimandar Sahib. Permission was sought from the Mughal authorities to allow the big gathering on Diwali. The Governor of Panjab, Zakhriya Khan accepted the plea in return of 5000 gold coins worth of tax. Bhai Mani Singh Ji accepted and sent letters out to the Sikhs across Panjab that all Sikhs will unite on Diwali day at Amritsar. However, the Mughals were cunning and they planned to attack the Sikhs and kill all the young Sikh men when they gathered at Amritsar. With the blessings of Waheguru, an informant informed Bhai Mani Singh of the Mughal plans. Bhai Mani Singh Ji was angered at the betrayal of Zakhriya Khan. He resent letters out to the Sikhs across Panjab, telling them not to come to Amritsar on Diwali and that the gathering of the all the Khalsa has been cancelled. Bhai Mani Singh Ji refused to pay the tax for Sikh gathering at Amritsar, which was supposed take place on Diwali day but was cancelled. On refusing to pay the 5000 gold coins worth of tax, Bhai Mani Singh Ji was arrested by the Mughal police force and brought to Lahore to the court of Zakhriya Khan. 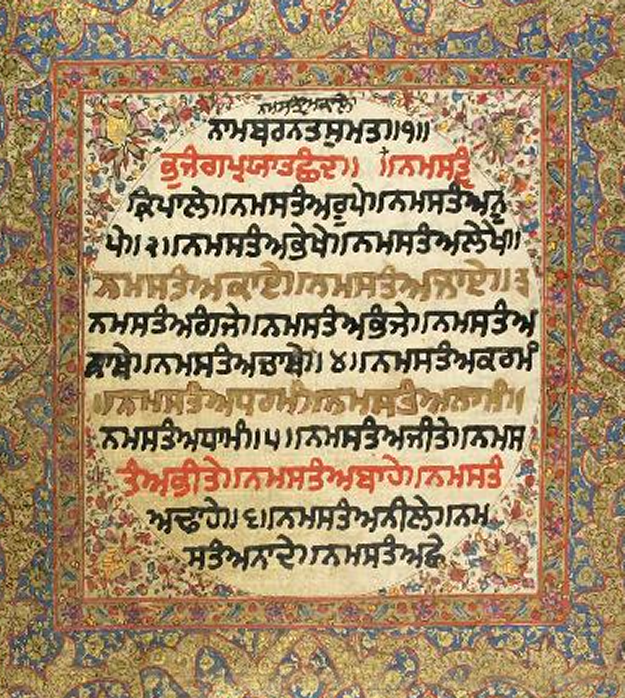 Bhai Mani Singh Ji greeted Zakhriya Khan with Guru Gobind Sing Ji’s salutation, “Waheguru Jee Ka Khalsa, Waheguru Jee Ki Fateh (the Khalsa is Waheguru’s, the victory is Waheguru’s). “Oh Zakhriya Khan, remember, in the religion we were born, in that religion we will breath our last breaths. You say you know the stories about the Sikhs. Do you know that Guru Nanak Ji planted the flower of Sikhi and that even a storm cannot uproot that flower. Not even a storm! It is that type of flower which is does not bend down but instead breaks,” said Bhai Mani Singh Ji. Gurbaani says: ‘purjw purjw kit mrY kbhU n CwfY Kyqu… Purjaa purjaa katt marai, kabhooh naa chhaadai keyth…He may be cut apart, piece by piece, but he never leaves the field of battle’ (Ang 1105, SGGS). Zakhriya Khan replied to Bhai Mani Singh Ji, “Your talk is very big Mani Singh. Remember, I will give you that type of torture; I will decree that type of fatwaa, legal decree, that you will shake and tremble. Now the executioner sharpens his blade with sand and Bhai Mani Singh Ji sharpened his mind with Naam. He recited Japji sahib and finishing reciting Gurbaani he roared a loud jaikaara, “Boley so nihaal! Sat sri Akaal!” With a glowing face with the power of Naam and Gurbaani, Bhai Mani Singh Ji shouted to the executioner, “Come on executioner, now me and you will talk.” A wooden block was brought forward. Bhai Mani Singh came forward saying “Satnaam Waheguru” he put forward his right hand on the wooden block. The executioner makes his mark on Bhai Mani Singh’s fingers. Bhai Mani Singh Ji pulls away his hand. “Mani Singh, you got scared! Before you were talking so much, yet this is the first cut. You couldn’t even handle the first cut, yet we are going to cut you limb by limb, your whole body,” said Zakhriya Khan. Bhai Mani Singh Ji replied back, “Oh executioner, what were your orders? You were ordered to cut me piece by piece. You have left all my fingers. Zakhriya Khan, ensure your servant doesn’t disrespect your orders and I will not disrespect my Father, Guru Gobind Singh Ji Paatshaah’s orders. Piece by piece, Bhai Mani Singh Ji’s body was cut to bits. Bhai Mani Singh Ji only recited Gurbaani, and it was what he had lived and breathed… “purjw purjw kit mrY kbhU n CwfY Kyqu… Purjaa purjaa katt marai, kabhooh naa chhaadai keyth…He may be cut apart, piece by piece, but he never leaves the field of battle (Ang. 1105). We salute Bhai Mani Singh Ji. Be inspired and inspire others. May Waheguru bless you. this was very inspired me . very thankful to u jio. guru ang sng jio.